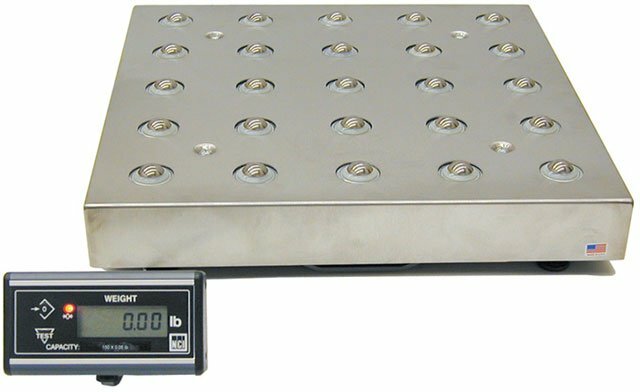 Brecknell 7880 - 150lb, 18" x 18" parcel shipping scale. Includes 10 ft. RS-232 Cable (9 Pin to 9 Pin). The weighing solution for any application requiring a durable bench scale. With its fast digital response and large 18 x 18 weight platter, the 7880 easily accommodates oversize parcels or containers in the shipping room. NTEP approved. Also available with a ball-top platter. Remote post display, 6 digit, with 12" post & 7ft cable. Remote display, 6 digit, with 7 ft. cable. The Brecknell 9503-16936 is also known as Brecknell Scales	9503-16936	or 950316936	.